Large amounts of data are becoming increasingly available through open data repositories as well as companies and governments collecting data to improve decision making and efficiencies. Consequently there is a need to increase the data literacy of computer science students. Data science is a relatively new area within computer science and the curriculum is rapidly evolving along with the tools required to perform analytics which students need to learn how to effectively use. To address the needs of students learning key data science and analytics skills we propose augmenting existing data science curriculums with hackathon events that focus on data also known as datathons. In this paper we present our experience at hosting and running four datathons that involved students and members from the community coming together to solve challenging problems with data from notfor-profit social good organizations and publicly open data. Our reported experience from our datathons will help inform other academics and community groups who also wish to host datathons to help facilitate their students and members to learn key data science and analytics skills. Craig Anslow is a senior postdoc fellow working on the FP7 VALCRI project. IDC Seminar – What is an explanation? Explanations are important for investigations. For one thing, the stories that we construct to ‘make sense’ of evidence stand as explanations for that evidence. But what is an explanation – exactly? We all feel we know how to give an explanation and know one when we hear it, but when asked to say what an explanation is, exactly, we may be hard pressed. In this talk I will explore some prominent philosophical theories of explanation, including Hempel’s deductive-nomological or covering law model. I will then use Clarke’s theory of common ground to explore the idea that good explanations involve complementing an explainee’s existing knowledge in order to render the explanandum (the thing to be explained) more likely in their eyes. We will have a Show and Tell with the visitors from the School for Communication, Media and IT of the Hanze University of Applied Sciences in Groningen, the Netherlands (one of Middlesex’s Erasmus partners). Mr. Corné Kox, Lecturer Interactive Media &Technologies. In this talk I plan to revisit work I presented some years ago, but in a way that has relevance for issues of ‘provenance’ and ‘fluidity and rigour’ currently being discussed in the VALCRI project. A field study of journalists working in the newsroom at The Times looked at how they sought and worked with information when writing news articles for the daily edition. The study showed that the task is affected by evolving uncertainty. This led to a research system called Newsharvester which was designed as ‘uncertainty tolerant’ through a very simple feature providing provenance links from a developing collection of content to originating archival sources. In an experimental evaluation, users reported that the provenance feature promoted more flexible and dynamic working and increased user enjoyment. Included in the reasons for using the provenance links were to re-consult information to better understand the context, include specific items they hadn’t realised were important, and generally check for omissions. The study lends support to the idea of ‘low-cost’ provenance links as promoting ‘fluidity’ for users during complex sensemaking tasks conducted under time-pressure. Modern visualization systems often assume that the data can fit within the computer’s memory. With such an assumption, visualizations can quickly slice and dice the data and help the users examine and explore the data in a wide variety of ways. However, in the age of Big Data, the assumption that data can fit within memory no longer applies. One critical challenge in designing visual analytics systems today is therefore to allow the users to explore large and remote datasets at an interactive rate. In this talk, I will present our research in approaching this problem in a user-centric manner. In the first half of the talk, I will present preliminary work with the database group at MIT on developing a big data visualization system based on the idea of predictive prefetching and precomputation. In the second half of the talk, I will present mechanisms and approaches for performing prefetching that are based on user’s past interaction histories and their perceptual abilities. 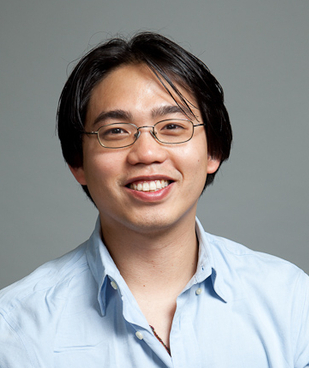 Bio: Remco Chang is an Assistant Professor in the Computer Science Department at Tufts University. He received his BS from Johns Hopkins University in 1997 in Computer Science and Economics, MSc from Brown University in 2000, and PhD in computer science from the University of North Carolina at Charlotte in 2009. Prior to his PhD, he worked for Boeing developing real-time flight tracking and visualization software, followed by a position at UNC Charlotte as a research scientist. 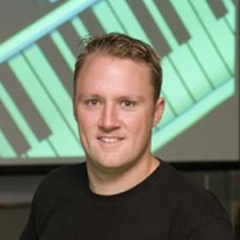 His current research interests include visual analytics, information visualization, and human-computer interactions. His research has been funded by NSF, DHS, MIT Lincoln Lab, and Draper. He has had best paper, best poster, and honorable mention awards at InfoVis, VAST, CHI, and VDA. 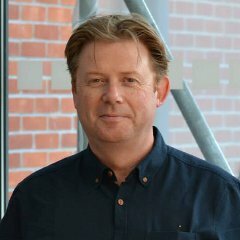 He is currently an associated editor of the ACM Transactions on Interactive Intelligent Systems (TiiS) and the Human Computation journals, and he has been a PC and in organizational roles in leading conferences such as InfoVis, VAST, and CHI. He received the NSF CAREER Award in 2015. Sorry - no upcoming seminars.